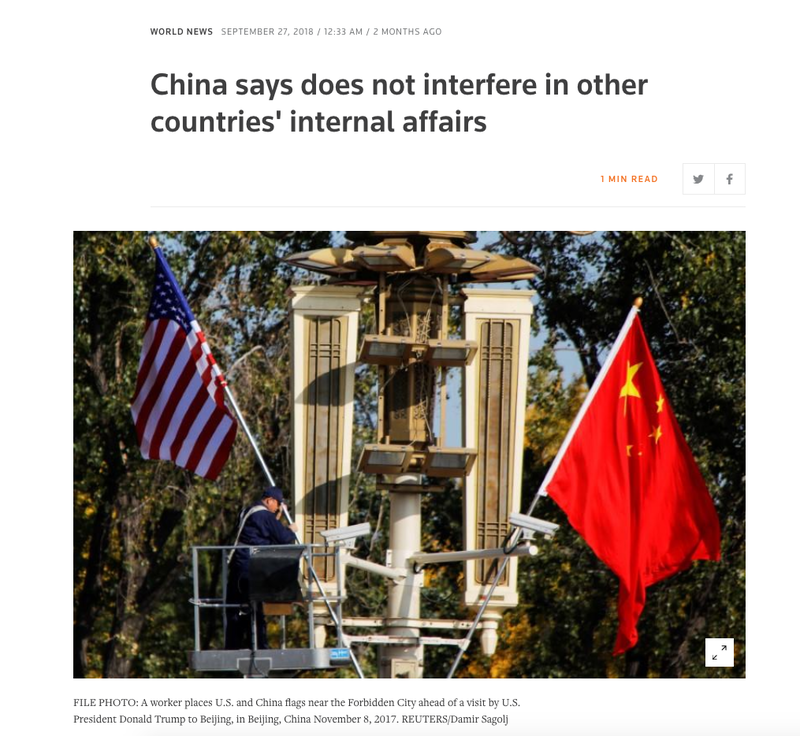 On October 20, 2018 Yahoo Finance ran an on-line article “China broadens its propaganda drive to heartland America” (see: https://yhoo.it/2qNJ8jP, which is also a photo source). 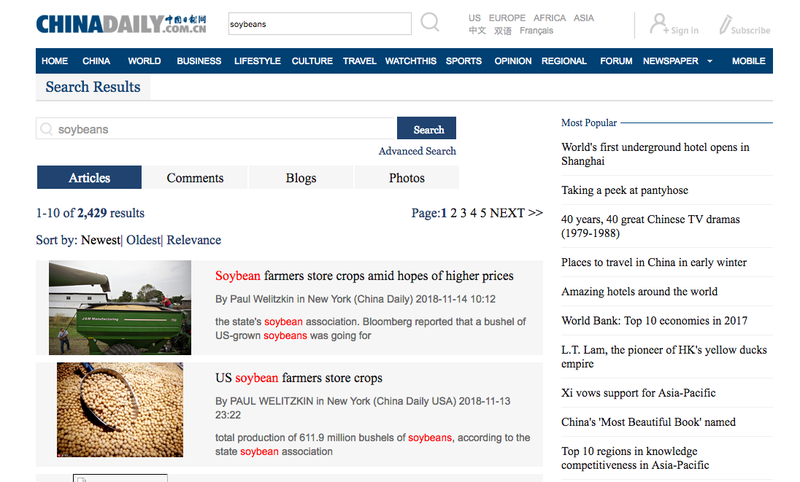 The article noted how the Chinese publication ChinaWatch (which you can see on line at: www.chinadaily.com.cn/) ran a series of articles targeted at US soybean farmers. I did a search today (15 Nov 18) on that site and two articles came up dated a couple of days ago. See photo. 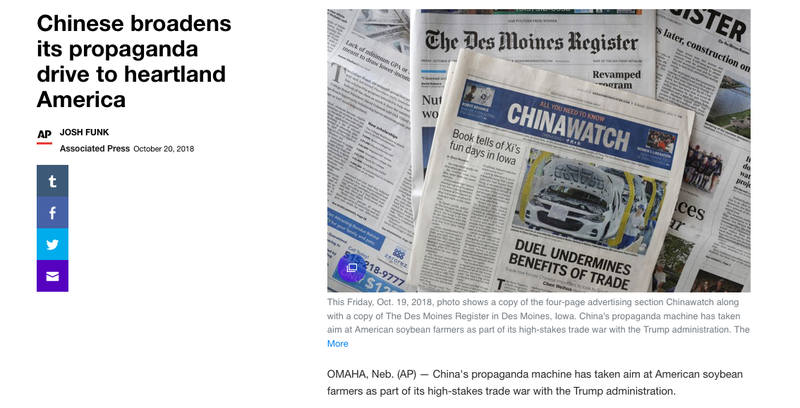 According to the article, the Chinese were using their publication to try and drive a wedge between President Trump and his Midwest Farmer supporters. An interesting element of the article was the conclusion that Chinese publications are offered advertising space in US publications, especially newspapers, because the revenue from those accounts help to stem the overall decline of newspaper revenue. Perhaps the Chinese have succumbed to the use of Measure of Production (we ran all these ads) rather than Measures of Effectiveness (the defection of the President’s supporters to the PRC’s perspective of the Trade war. 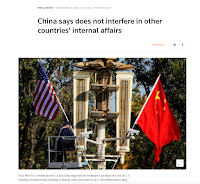 The Chinese claim that they didn’t violate any laws nor does the Chinese government interfere in other countries’ affairs or elections. You can read more about the statement and the context at: https://yhoo.it/2qNJ8jP, which is also a photo source. From an effectiveness standpoint, I don’t think there are many in the PSYOP community, especially those from farming areas that believe that the Chinese Publications had any influence at all. Perhaps the political motivation to show off ‘production’ to the masters in Beijing was the real goal and not successful influence operations. 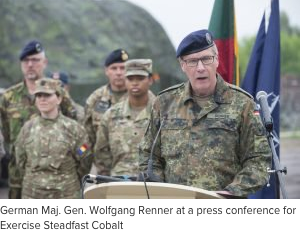 In my view, this initial effort is an influence camel’s nose coming under the US tent. It may take a while for the camel to get in, if at all, but that nose is doing more than just nosing around.